The shows for INTIWGTF roll on next week in Atlanta, Charleston, Wilmington, NC, Charlottesville, VA and DC/Northern VA . The DC show is SOLD OUT but advance tix remain for other shows. Click the SHOWS link for all the info. There's also a few we just announced like the Beaufort Music Festival in Beaufort, NC on May 8 and Charlotte, NC on May 9. 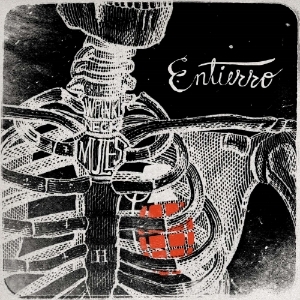 We began releasing a digital-only song series entitled "Entierro" last week. Each song in the series is a cover of one of our influences released on the anniversary of the particular artist's passing. The first tune in the series is "Big in Vegas" by Buck Owens who passed away on March 25, 2006. Other songs will follow over an indefinite period of time. Stay tuned and make sure to go download "Big in Vegas" on Bandcamp. That's the only place it's available at this time. Check out the artwork below designed by Adam Stockton - who has designed all of our covers except Minor Enough. Our counterparts over at Howler Bros. released some limited edition WNM merch over on their website. It's badass. Check out this flocked cat t below. The beautiful deluxe double vinyl edition of INTIWGTF is now in stock. You can get one from WarHen Records or right here in the Goods section. If you haven't seen the Whistlers & Sparklers video, scroll down and check it out.